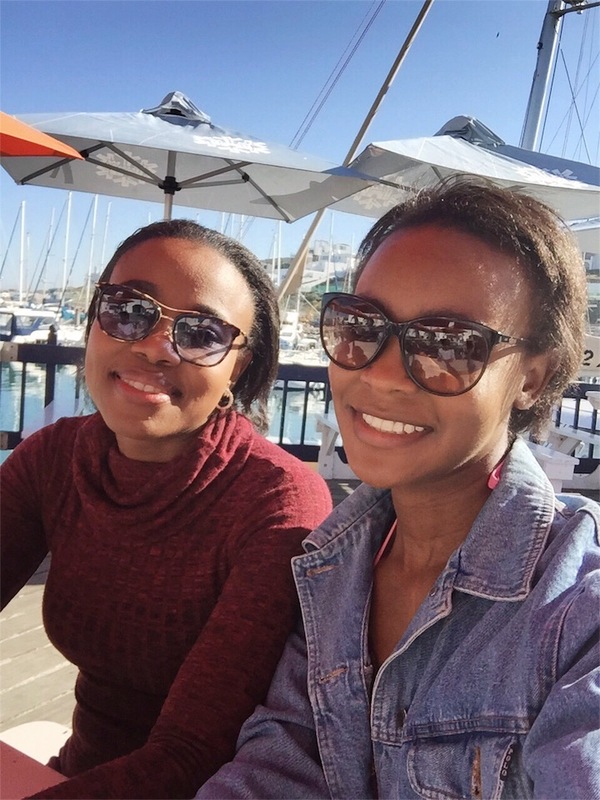 A few months ago, my family decided to make another trip to South Africa for the holidays. Although I live in Canada and was home for summer vacation, in Namibia and South Africa it was the winter season. I left Canada at the end of the winter season and arrived in Namibia at the beginning of their winter season. It’s been a never-ending winter for me. We took a road trip from Namibia, my beautiful home country, all the way down to South Africa. I love taking road trips from South Africa to Namibia and vice versa. It’s incredibly fascinating to me to see the landscape gradually change as we leave and enter a new country. 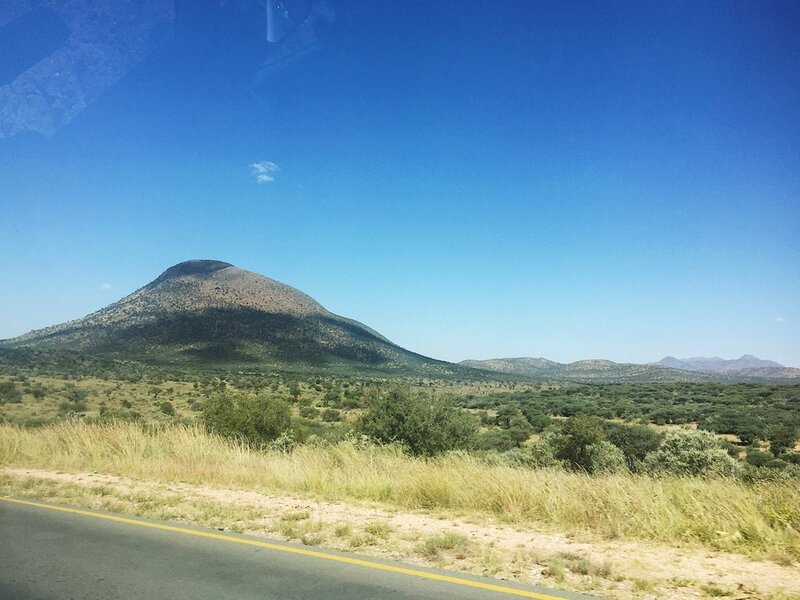 Namibia has more of an arid landscape, whereas South Africa's landscape has more greenery. When entering South Africa, the landscape is quite dry and rocky. You start the see the greenery as you go deeper into the country. This year was interesting because it had rained in Namibia and the landscape was slightly greener than usual. 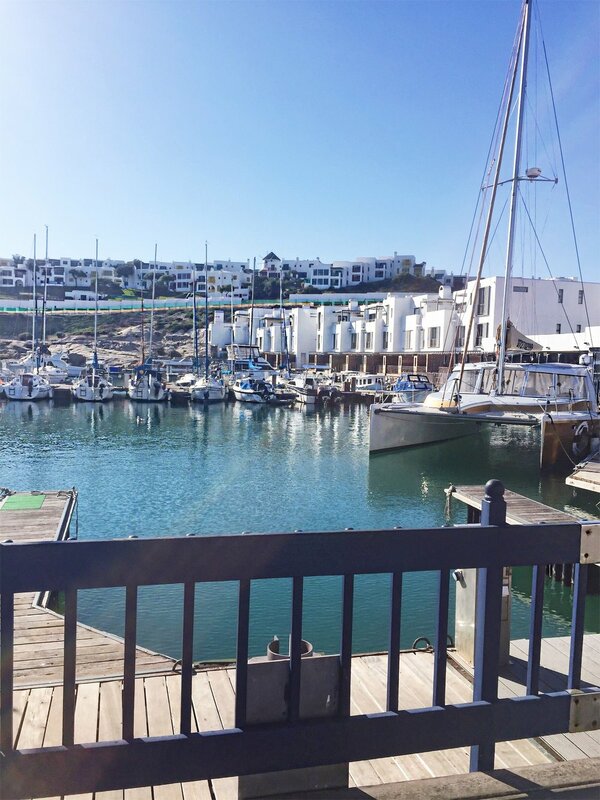 We booked a stay in Langebaan at the Club Mykonos Resort. It’s a lovely family friendly resort right by the sea. The resort markets itself as ‘Your little piece of Greece on the West Coast’. They mean the South African West Coast. 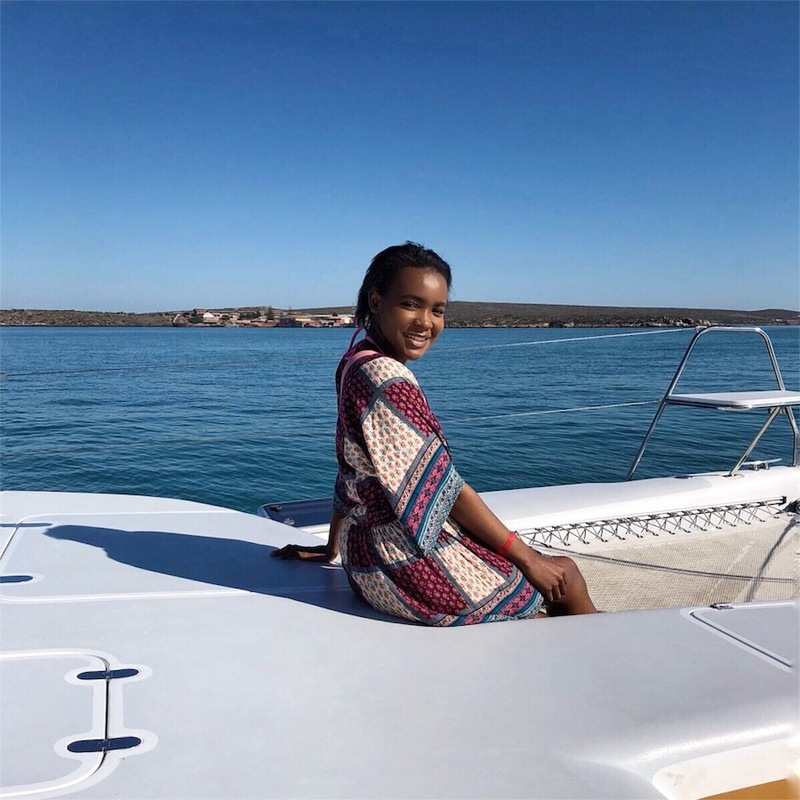 When my Mom first sent me the link to the resort, I was quite intrigued by the fact that South Africa has a little Greek retreat one can enjoy... A little piece of Greece in Southern Africa. The architecture of the resort and the names of the buildings are all a nod to Mykonos. You have the option of staying in the Athenian Cascades, the Terraces, the Marina Village or the 4-star Club Mykonos Preferred units. All the units at the resort are called 'kalivas'. All units are self-catering. There are shops at the resort you can visit to pick up some groceries. You can also visit the beach and sports shop to buy anything you may have forgotten to pack. The suites were actually quite cosy. I took it upon myself to throw my family members out of the bedrooms so I could take photos of everything before we unpacked. Don't mind the wrinkles on the bed, everyone had already thrown themselves on the bed. The road trip was rather long and exhausting. 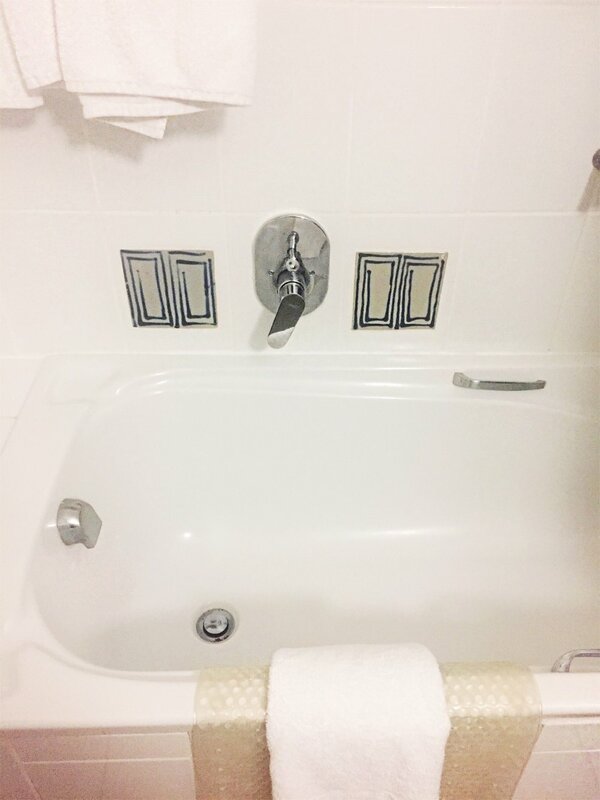 There is so much to do at the resort. There’s an indoor and an outdoor pool, a sauna, jacuzzi, plunge baths, tennis courts, squash courts, steam rooms, a spa and much more. There are also a number of restaurants. We visited two of the restaurants at the resort. We had lunch at the Bouzouki Restaurant. It's a Greek themed restaurant which also serves, you guessed it, Greek cuisine. My sisters, my niece and I chartered one of the Elite Charters yachts which are moored at the Club Mykonos Marina. The company operates from the Club Mykonos Marina. 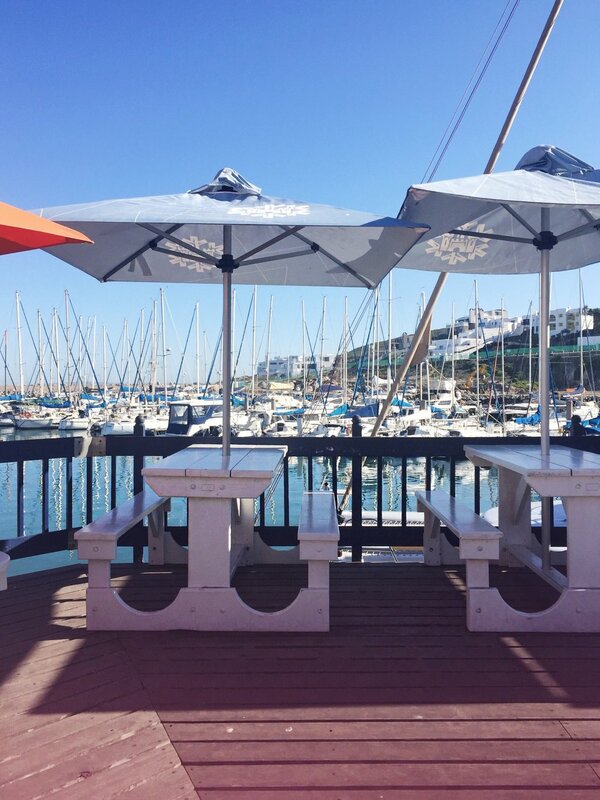 Before going on the yacht tour, we sat at the Dockside Café & Lounge to have breakfast and enjoy the early morning views. The food was good and the service was great. It was a nice way to start the day. We quite enjoyed ourselves, sipping Moët Chandon Imperial champagne and looking out at the ocean. This is actually the first time I felt like an adult, drinking fancy champagne. You have to understand, in my family, I'm considered the baby and my sisters were always shocked whenever I even mentioned alcohol. So despite having been of legal drinking age, I never really did this sort of thing in front of my sisters until this holiday. It's a huge accomplishment for me. I'm finally an adult in their eyes! No, I actually think I'll always be the baby sister in their eyes. Besides the champagne experience, I actually saw a seal. At first, I thought it might just be some seaweed floating at the top of the water but my sister took a look and confirmed it was, in fact, a seal. I swear I saw it wave at me! I realized that for whatever reason, my sisters and I always took photos with our sunnies on. In almost all the photographs of the three of us together, we're always wearing sunglasses. Here I am soaking up the sun and attempting to be photogenic. Later in the day, my mom, my sister and I went to the the resort's spa, La Vita Spa. Here we are getting ready to enjoy ourselves in the sauna room. I got a luxury treatment the spa offers called 'Pride of Italy Exfoliation & Massage'. After the wonderful massage, my sister and I hit the sauna. Once my Mum was done with her treatment, we went to the little lunch spot they have just outside the spa. I don't know why, but I've always felt that after visiting a spa one should follow that with very healthy food. That was not what I did. I went for a toasted sandwich and fries. I also ordered and enjoyed a cappuccino. In the evenings and late afternoons that we stayed indoors, we enjoyed quality time together watching the Roland Garros. I used to play tennis as a child, but I was never as passionate about it as I am soccer. Taking the time to properly sit down and watch the Roland Garros has awakened a love for the sport I never knew I had. We all huddled in our unit's living room to watch the Roland Garros and movies. All in all, I absolutely loved the time I got to spend with my family at Club Mykonos Resort. It’s great for a family vacation, there are many activities for the youngsters and the resort has a lot to offer. 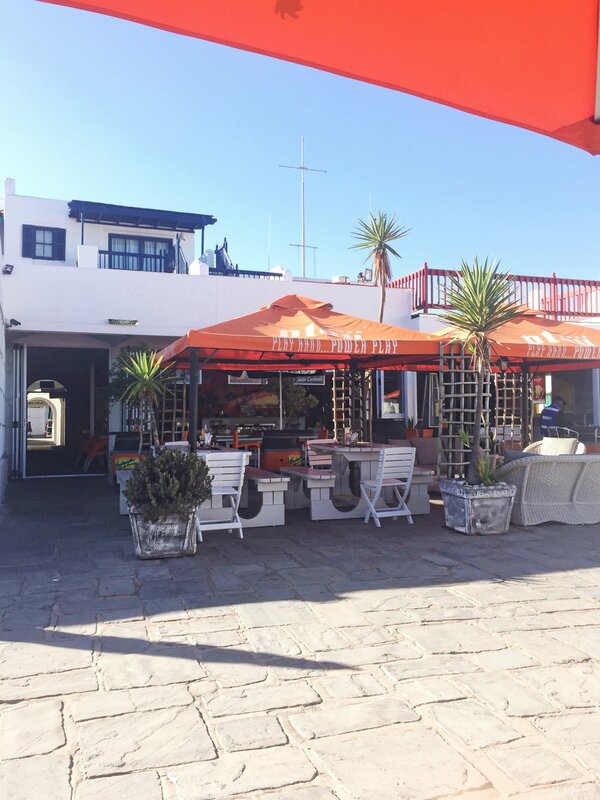 It’s a great little taste of Mykonos but in South Africa.